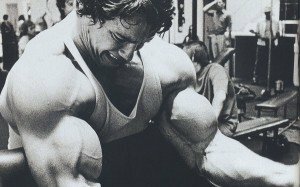 If you want to know what the best shoulder workouts are for building bigger, stronger shoulders (delts), then you want to read this article. The three rules for proper shoulder training are: 1. 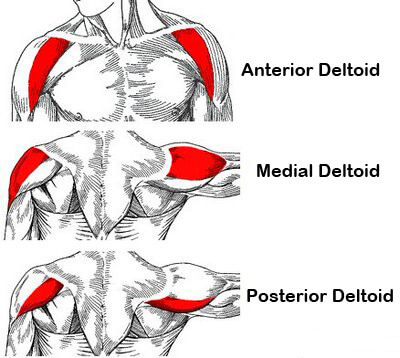 Do exercises for each of the three deltoids (shoulder muscles). 2. Focus on lifting heavier weights. 3. 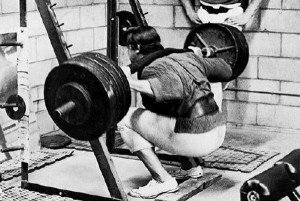 Emphasize progressive overload. The best shoulder exercises are those that allow you to safely progress toward heavier and heavier loads, including the military press, dumbbell side lateral raise, and dumbbell rear lateral raise. 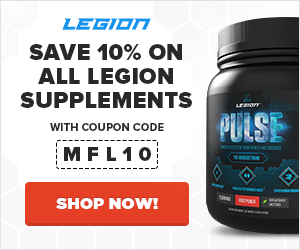 If you’re an intermediate+ weightlifter and you want to get the most out of your shoulder training, work in multiple rep ranges and with weights ranging from 70 to 90% of your 1RM. No matter how big your arms, chest, or back are, an upper body just isn’t complete without well-developed shoulders. They “frame” your physique, widen your V-taper, and provide proportion to your arms. Unless you’re on a few grams of weekly #dedication, it can be incredibly hard to build big, strong shoulders. They’re small, stubborn muscles that never seem to grow as fast as we’d like, and that’s why you see countless shoulder workouts online, all promising to deliver cannonball delts faster than you ever thought possible. Well, this article isn’t another one of those. 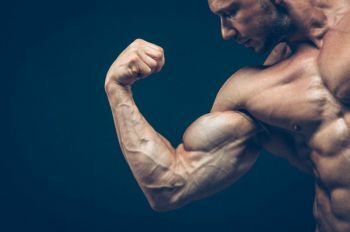 Honestly, even when you do everything right in the kitchen and gym, it’s going to take time to gain significant amounts of shoulder size and strength. More time than you probably want. The good news, though, is it can be done, and doing the right workouts is a major piece of the puzzle. Not bad, but not exceptional either. And especially not after putting in seven years of consistent (albeit misguided) work in the gym. Honestly, my shoulders are still a work in progress, but as you can see, they’ve come a long way from their humble beginnings. At least they don’t play a distant third fiddle to my biceps and pecs anymore. Now, it shouldn’t have taken me so damn long to get here, but hey, I’m not complaining. Live and learn, right? Anyway, in this article, I want to teach you how I did it, and how you too can build shoulders you can be proud of. By the end, you’re going to know the most important aspects of shoulder training and how to build effective shoulder workouts, and you’re also going to get a ready-made shoulder workout routine that you can put into immediate use in the gym. Let’s get to it, starting with the three most important rules of shoulder training. Blast them hard and often with every dumbbell, machine, and cable exercise you can think of, from every angle possible, with as many reps as you can possibly stand (to really “make them burn” and “bring out the definition”). Don’t worry about isolation exercises. Just stick with heavy bench and overhead pressing and your shoulders will come in just fine. And for some people, these approaches can work. For most of us, though, they won’t. The first often leads to injury or burnout, and the second often leads to underwhelming size and strength. Do exercises for each of the three deltoids (shoulder muscles). As far as size and strength go, the deltoids are king. These are the larger, more visible muscles that you want to emphasize most in your shoulder training. Now, the bottom line is if you want to build big shoulders, you must work hard to develop each of the three deltoids. Most people make the mistake of focusing mostly on the anterior (front) deltoids with exercises like the bench press, shoulder press, and front raise, and neglect the medial (middle) and posterior (rear) deltoids. This makes for flat, underwhelming shoulders that lack the “capped” look that makes the shoulders “pop” out from the torso. As a natural weightlifter, your number one goal should be increasing your whole-body strength. So long as you make that your primary focus in your training, you’ll always keep the needle moving in the right direction. Now, what’s the best way to do that? Well, the evidence is clear: heavy resistance training is the most effective way to get stronger, and that’s why natural weightlifters need to do a lot of heavy lifting if they want to gain significant amounts of muscle and strength. This applies to every major muscle group in the body, as well, not just the “big” ones. 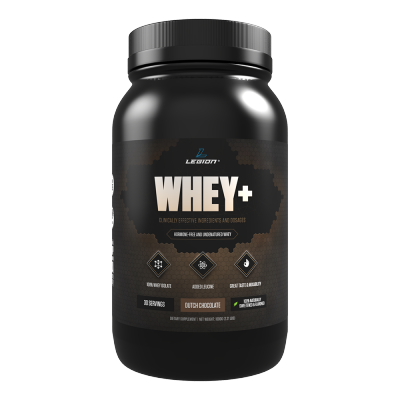 Therefore, if you want to gain shoulder muscle as quickly as possible, then you want to focus on heavy dumbbell and barbell pressing, as well as moderately heavy side and rear lateral raising. 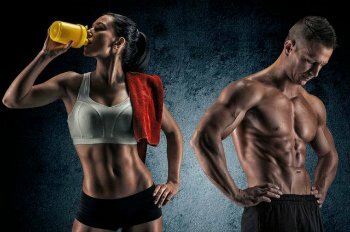 Unfortunately, steroid use is rampant in this space, and especially among competitors and models, and these drugs change everything. You can build great shoulders drug-free with a bit of know-how, hard work, and patience. Now, what do I mean “heavy” weights, exactly? Well, I mean working primarily with weights in the range of 75 to 85% of your one-rep max (1RM), or in the range of 8 to 10 (75%) to 4 to 6 (85%) reps, with a little work in the range of 2 to 3 reps (90+%). 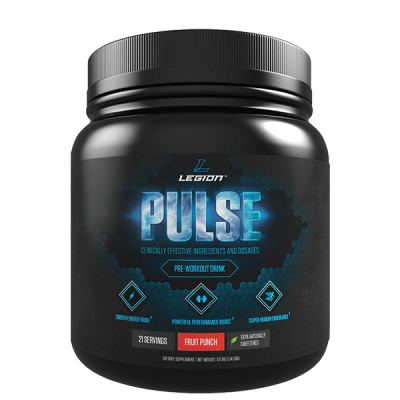 In simple terms, this refers to progressively increasing tension levels in the muscle fibers, and the most effective way to do this is to gradually increase the amount of weight you’re lifting over time. You can do all of the drop sets, supersets, eccentric sets, and other fancy training techniques you want, but if you don’t get progressive overload right, you’re always going to struggle to gain muscle effectively. This is yet another reason why getting stronger is so important. 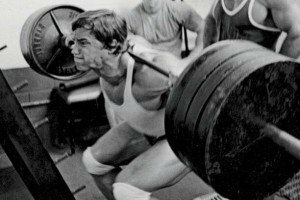 Now, some exercises lend themselves to progressive overload better than others. That is, some exercises allow you to safely progress toward heavier and heavier loads, while others don’t, and those that do should comprise the bread and butter of your training. With that in mind, let’s look at the shoulder exercises that are going to work best. Like with most muscle groups, there are scores of shoulder exercises you can choose from but only a small handful are really necessary. These are the exercises I’ve used to dramatically improve my shoulder development, and they will help you do the same. Barbell and dumbbell pressing form the foundation of effective shoulder training. These movements emphasize the anterior deltoids but heavily involve the other two deltoids, as well as the rotator cuff muscles. They also lend themselves particularly well to heavy weightlifting. Some people say that barbell pressing is better than dumbbell, or vice versa, and EMG studies have shown that dumbbell pressing may be slightly superior in terms of muscle activation, but the effects were small and EMG isn’t without its flaws. Based on my experience, I wouldn’t say either the dumbbell or barbell press is fundamentally “better.” Both require a large amount of upper body strength and stability, and I’ve found them complementary and have done both for years. Specifically, what I’ve done is repeat cycles of 6 to 8 weeks of starting my shoulder workouts with barbell pressing followed by the same period of starting with dumbbell pressing. The Arnold press is a variation of the traditional dumbbell press that increases the range of motion. 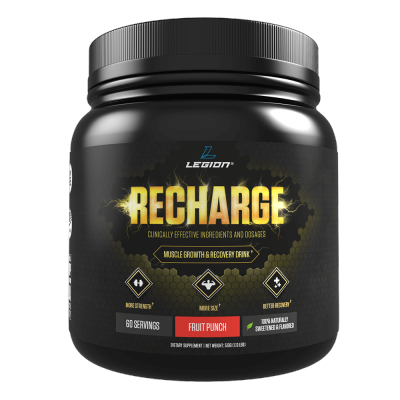 It can be a useful supplement to your pressing, but it’s not a good replacement for it because it just can’t deliver anywhere near the same results. 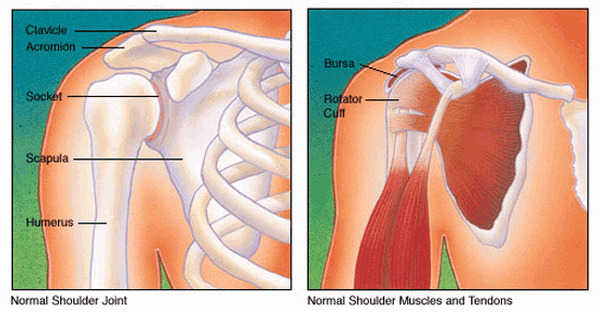 This is an extremely important and often neglected shoulder exercise. It targets the side deltoids, which accounts for a lot of the shoulder roundness and “pop” that we want. As your shoulders get stronger, you’ll find it harder to maintain proper form on your side raises because lifting two heavy dumbbells simultaneously can be awkward. 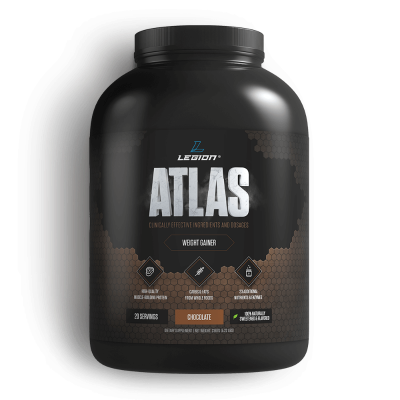 The posterior (rear) deltoid is the smallest and weakest of the shoulder muscles, but it contributes significantly to the overall look of your shoulders (especially from the side and back). The barbell rear delt row is another one of my favorite rear delt exercises. The face pull is good for strengthening both the rear delts and rotator cuff muscles. So, now that you know what exercises you’ll be doing, let’s get to the workouts. In this workout plan, you’re going to train shoulders once per week, the same way you do in my Bigger Leaner Stronger (for men) and Thinner Leaner Stronger (for women) programs. In those programs, though, you stick with one kind of shoulder workout throughout the plan. This is well and fine for the sake of simplicity (and I wanted to make sure those programs were easy to understand and do), and also is just fine if you’re a beginner, but for those of us with more experience under our belts, we can benefit from more variety in our shoulder training. Optional: Turn your last set into a rest-pause set. For instance, if you’re doing the Strength workout and get 6 reps with 135 pounds on your military press, add 5 pounds to each side of the bar for your next set. If, on the next set, you can get at least 4 reps with 145 pounds, that’s the new weight you work with until you can press it for 6 reps, move up, and so forth. This shoulder workout routine is simple but effective. For 12 weeks, I want you to rotate between these three workouts–hypertrophy, power, strength–doing one per week. Thus, you’ll do each workout a total of 4 times over the course of 3 months. I also want you to deload as needed. You can change it up for the next 12 weeks, doing the Hypertrophy workout for 4 weeks, followed by the Power workout for 4 weeks, followed by the Strength workout for 4 weeks. The first option is straightforward–you just keep plugging along. Don’t do a shoulder workout the day before or after a heavy chest/push workout (because your shoulders will be fatigued). Put at least one day in between these workouts (two is optimal). If you want to maximize shoulder development, train your shoulders on your first training day of the week, when you’re freshest (and before you fatigue them with chest/push training). If you’re rotating between the three workouts and miss one week for whatever reason, don’t skip the workout you missed–just do it the following week and carry on. Building bigger shoulders doesn’t require overly complex workout plans, endless hours in the gym, or drugs. So long as you do plenty of heavy weightlifting, make sure you’re progressing to heavier and heavier weights over time, and train each of the deltoids adequately, you’ll do well. And that’s exactly what these shoulder workouts will do for you. Let’s not forget the other important factors, though. You’ll want to make sure you eat enough food and get enough sleep as well, and if you want an extra boost, take the right supplements. What’s your take on shoulder workouts? Have anything else to share? Let me know in the comments below! Muscle for Life Success: Mike H.